Fuchsia-pink flowers with frilly, soft yellow centers brighten the late-spring garden. They're perfect for a cut-flower arrangement. Glossy green foliage remains attractive throughout the growing season. 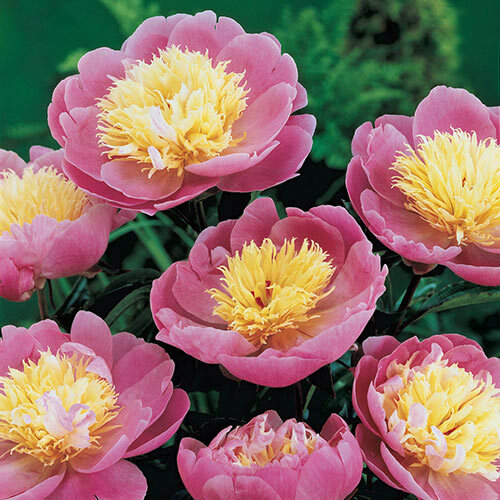 A longlived perennial, this peony is ideal for a foundation planting, en masse or a specimen plant. Soil RequirementsWell-drained, humus-enriched, moisture-retentive soil. PruningRemove spent flowers after bloom. Cut foliage to the ground and remove from the garden in fall after frost. Planting InstructionsPlant with eyes 1-2" below the soil surface. 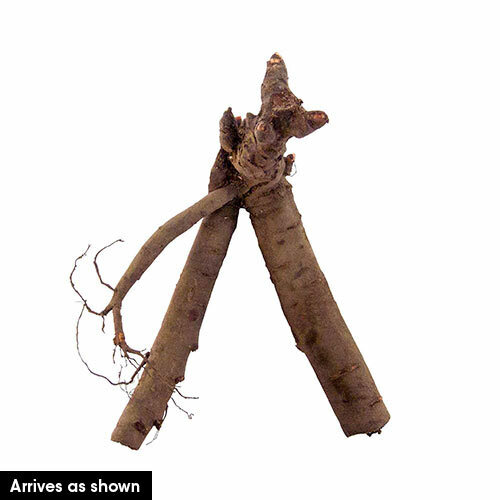 Firm soil around the roots and water thoroughly. Planting too deep will result in poor flowering.